MaxVigen™ is multifunctional fluorescent magnetic nanoparticles. They have bright fluorescence, high MRI sensitivity, long blood circulating life time, strong tumor targeting and extended tumor retention, and customizable physical and surface properties. They could exceed expectations in every stage of your molecular imaging and targeting research. 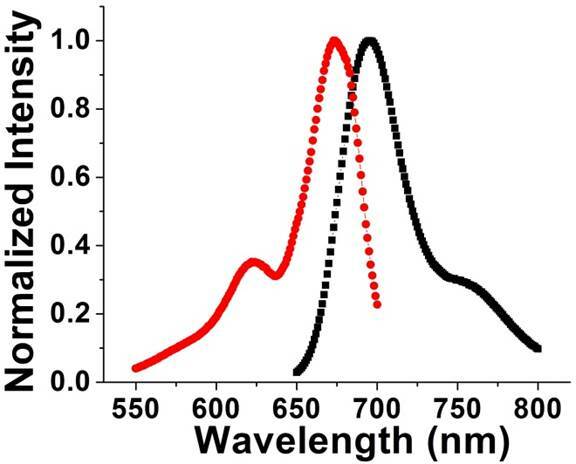 1 ml of MaxVigen™-710 nm, fluorescent magnetic nanoparticles in PBS buffer at 1 mg/ml. 75 nm measured by dynamic light scattering technology with PDI (polydispersity index) at 0.2. Specific nanoparticles with different requirements on nanoparticle components, size, fluorophore loading and surface functional groups are available through customized nanoparticle projects. NVIGEN nanoparticle reagents are for research uses.